There’s a quickly rising change in consumer trends and tastes in Adelaide. Accessible healthy, vegan types of food would be something that would be almost unheard of five years ago. Today, such foods are much more accessible for vegans or simply anyone who are looking for food that is organic and free from refined sugars and anything artificial yet still satisfies the good old taste buds. The emphasis here are real, unprocessed, nutritious food and drinks. Nutrition Republic in Hyde Park has, in recent months in particular, built themselves up to be at the forefront of such philosophies. 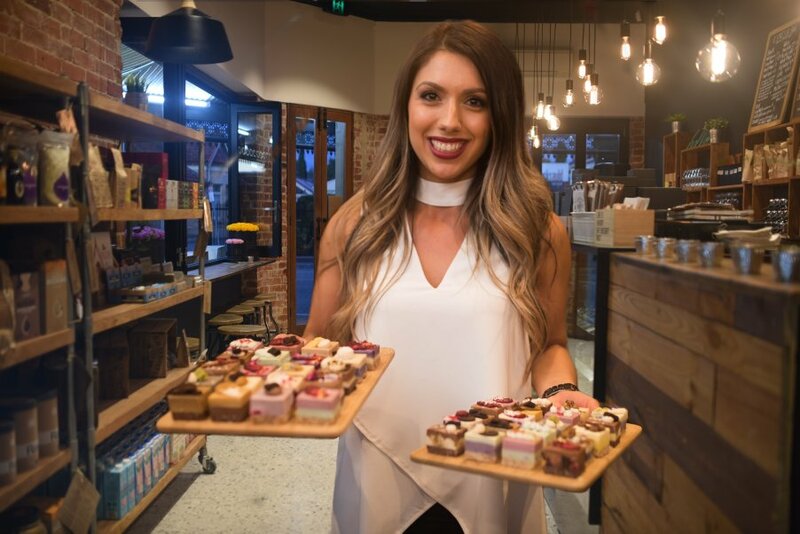 Recently, the Adelaide Food Central team were invited by Nutrition Republic to celebrate their exclusive licensed partnership with Melbourne based business Pana Chocolate. All food and drink were provided free of charge. 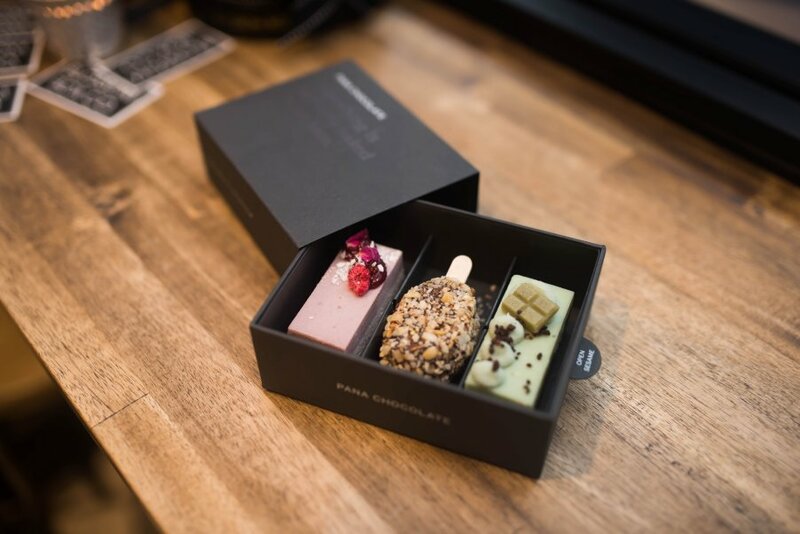 Pana Chocolate is a provider of raw, organic handmade desserts that solely focuses on using cacao sourced from Bolivia. Chocolate that is healthy!!! Absolutely guilt free. Vegan, gluten free, dairy free and soy free. All ingredients used in Pana Chocolate’s bars are organic and all are free from refined sugar. Only natural sugars here people. Praise the heavens! Nutrition Republic is also the ONLY South Australian business to stock these raw, delicious goodies. I have always been a fan of raw desserts because they are, amazingly, delicious, decadent, sweet and light, yet still very healthy and good for you. I had a sample of all the little goodies that were served on the plates laid carried by the workers and laid around the tables. It’s really hard to pick a favourite as they were all delicious. But if I had to pick a few favourites they would be coconut & goji and mint. I just loved the coconut & goji. Coconut flakes with the burst of sweet berry aftertaste that goji berries are known for. You really could taste the quality and the intensity of the raw cacao in each of the different handmade bars. The mint chocolate bar was refreshing with the hint of peppermint oil. Mint and chocolate has always been marriage made in heaven. But Pana Chocolate really brings this to the next level. All these tasty, healthy treats were all washed down with cups and cups of vegan hot chocolate provided by the folks at Nutrition Republic. My mouth is salivating at the thought of it again. 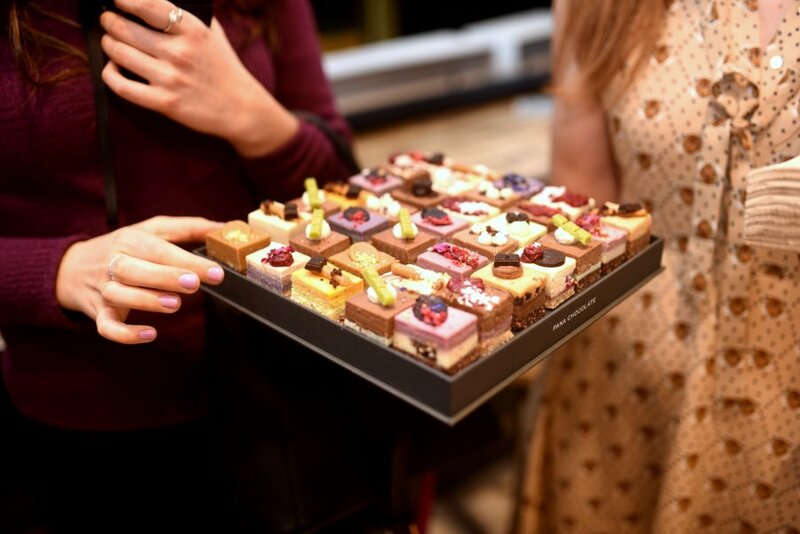 While they may be much more expensive than your average sweet treats at your local cafes. They are, however, worth every single cent when you consider the quality of the ingredients and the fact you can consume such sweet treats entirely guilt free. Healthy for you and ingredients are organic and sustainably sourced. You can’t really beat that! Also the packaging is very cute and cheeky. Really great as a gift. I’m not vegan but I do love eating vegan food now and then because it is so much better for you. I’m going to put this out there now: raw, vegan desserts trumps the traditionally made ones. There I said it. Hurrah for Nutrition Republic for partnering up with Pana Chocolate.